Saudi Arabian Ambassador to Ethiopia Abdullah Faleh Alarjani says Ethiopia is one of the potential beneficiaries of his country's economic restructuring plan, Vision 2030. The Ambassador also appreciates Ethiopia's success in registering remarkable economic growth in a short period of time. In 2016, Saudi Crown Prince Mohammed bin Salman announced Vision 2030 that reduces country's reliance on oil revenue thereby transforming the economy to one of the top investing countries in the world eyeing agriculture as a priority. In an exclusive interview with The Ethiopian Herald, Ambassador Abdullah states that Saudi Arabia considers Ethiopia as among the primary destinations for its agricultural investments capitalizing on the geographic proximity and rich potentials. The Ambassador says: "Vision 2030 avails a lot of opportunities to Saudi Arabia and Ethiopia to enhance their multifaceted relations, particularly in maximizing the trade and investment ties." Sharing the Ambassador's idea Foreign Affairs Middle East Affairs Director Temesgen Omer, says Ethiopia offers wide investment opportunities that are crucial for Saudi to meet its economic diversification in the agriculture, health, trade and infrastructure sectors. "Besides geographic proximity, Ethiopia's high soil fertility, the amenability of its climate towards the cultivation of diverse crops and the comparative abundance of water supply make it an ideal place for Saudi's priority agricultural investment." Stating various government institutions have been assigned to identify areas for future Saudi-based investment projects, the Director says multi-sectoral efforts have been exerting to maximize Ethiopia's benefit from Vision 2030. As to the Ambassador, his country has keen interest to advance its all-rounded partnership with Ethiopia. He further says the Ethio-Saudi Joint Commission, in which its establishment dates back to 2002, has been playing commendable role in outlining the cooperation framework between the two countries. Due to the Commission's steady efforts, the two countries signed Agreement for Avoidance of Double Taxation and many more are in the pipeline. Agreement for Promotion and Protection of Investment aimed at enhancing flow of Saudi investment to Ethiopia is being discussed by the two parties and they are close to reach the final deal, according to the Ambassador. Saudi Arabia is the 4th largest foreign investor in Ethiopia spending over seven billion Birr during the past six years. The country is also Ethiopia's 4th biggest export destination importing 196.5 million USD during the 2016/17 fiscal year. The Ambassador says: "In fact, Saudi Arabia is one of the leading Ethiopia's development partners and the largest sources of Foreign Direct Investment, (FDI)." 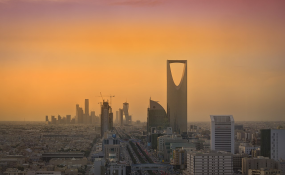 There are a large number of Saudi companies actively engaged in Ethiopia in the agriculture, livestock, light industries, extraction of gold as well as hospitality sectors. Among Saudi-based investments, Sheikh Mohammed Hussein Ali Al Amoudi's multi-sector corporate, MIDROC takes the lion's share. Yet, Temesgen acknowledges that there is a huge gap in fully utilizing Saudi Arabia's enormous capacity for FDI and trade as the two countries enjoy age-long historical ties and geographical proximity. Consequently, the government of Ethiopia has issued a set of directives to address bureaucratic and infrastructural setbacks that would stimulate Saudi investments. He says: "The Ministry is working with stakeholders to facilitate favorable conditions for foreign investors that come to Ethiopia to acquire land and other amenities as well as inputs." The Director notes that concerted efforts are needed to tap Saudi's investment potential and to narrow down the current trade imbalances with Ethiopia. Ambassador Abdullah on his part lauds the rapid economic progress Ethiopia has registered over the past decade. The country is witnessing a huge economic boom and is considered one of the fastest growing economies in Africa that have achieved sustainable development, he adds. "Saudi Arabia is happy with the economic progress witnessed in Ethiopia and appreciates its commitment and ability to attain such significant economic growth within a short period of time." The Kingdom of Saudi Arabia will continue supporting Ethiopia's development projects to sustain this auspicious growth, the Ambassador affirms. In realms of development cooperation, Saudi Arabia remains Ethiopia's key partner. Ethiopia is one of the beneficiaries of the Saudi Fund for Development (SFD) since 2005 when it funded 70.5 million Riyal to the Azezo-Metama Road Project that links Ethiopia with Sudan. Similarly, Saudi has also financed Asossa- Kurmuk and Geddo- Lemlem Berha road projects and Jijiga- Deghabur rural electrification project in the Ethiopian Somali State through this fund and the Arab Bank for Economic Development in Africa. Ambassador Abdullah reaffirms that there will be more projects to be financed and development assistance to Ethiopia will be consolidated. Bilateral relations between the two countries dates back to thousands of years, when Companions of Prophet Muhammad reached in Ethiopia seeking refuge in the first and second Hijra (Migration). Opening its Embassy in 1948 in Addis Ababa, Saudi Arabia was among the first Arab countries to start diplomatic ties with Ethiopia.